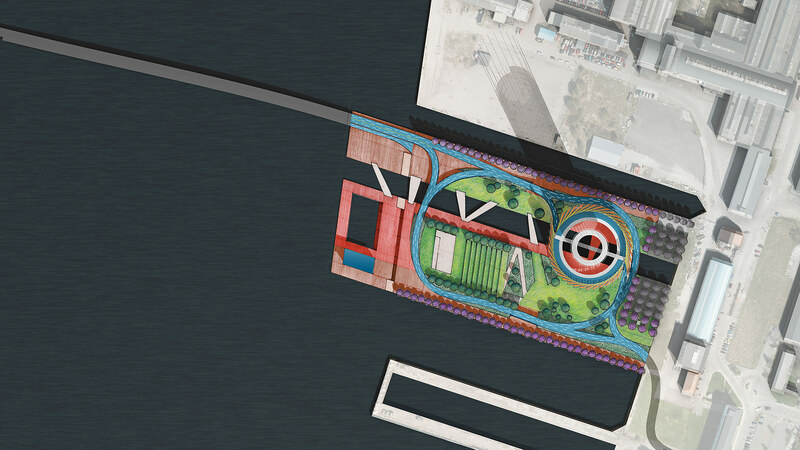 This competition proposal encompasses the development of a new waterfront park in Copenhagen on a former maritime industrial site in the Refshaleoen District. The program calls for the creation of inhabitable public space and the integration of cultural and recreational activities with sustainable and energy generating technologies that will create a model for positive power generation combined with public art and public interaction. 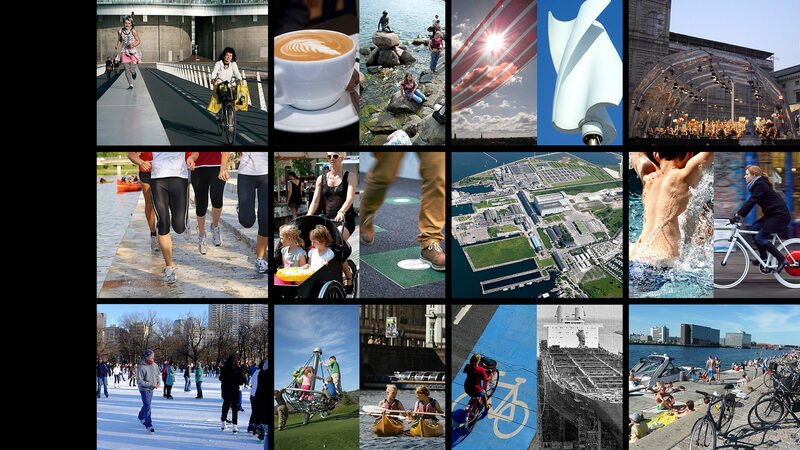 The goal is to create demonstrable techniques to generate power in the public realm that also garner broader cultural appeal, and have applicability toward Copenhagen’s goal of carbon neutrality by the year 2025. Entitled “Motion Actuation,” OFFICE 52’s design and our approach is derived from a careful study of Copenhagen’s cultural norms and its architectural and planning typologies. These are creatively combined with both proven and cutting edge renewable energy technologies. The basic premise for our redevelopment strategy is a public park in an area of the city that is increasingly used for recreational and cultural activities. Large scale planning concepts for Copenhagen call for a future dedicated bicycle commuter highway near or through the site with a future bridge crossing the harbor to Langeline near the city’s historic fortress. 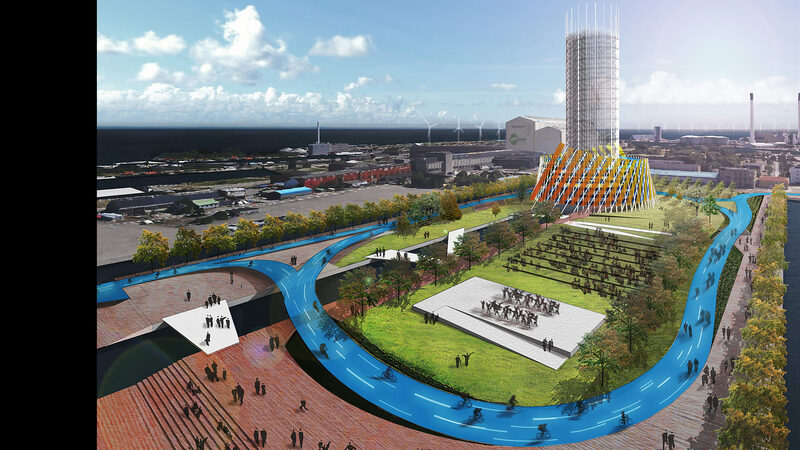 This concept is used as a planning framework for the site to bring people to a future destination park. The park is centered around a 125 meter high sculptural observation tower that draws on existing architectural precedents in the city such as the spiral steeple of the Church of Our Savior in the Christianshavn neighborhood and the Round Tower with its famous helical ramp. The tower is simultaneously an experiential sculptural installation and power generating icon for the waterfront and the city; an iconic symbol of the city’s ambitious goal to be carbon neutral by 2025. The tower has a tripartite organization. 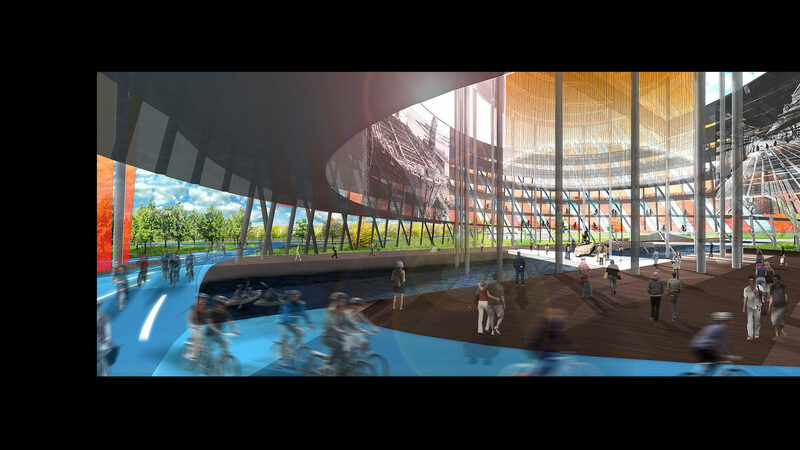 Its sloped base is clad in photovoltaic fabric and houses a large bike parking ramp that spans a new quay cut into the landscape of the site and reflects the ship building history of the place. The space beneath the tower is designed to be used for events and outdoor exhibits. At its center sits the statue of the Little Mermaid, a Copenhagen cultural icon. The upper portion of the tower contains a double helix pedestrian ramp that takes visitors up to the 100 meter level and panoramic views of the harbor and the city. 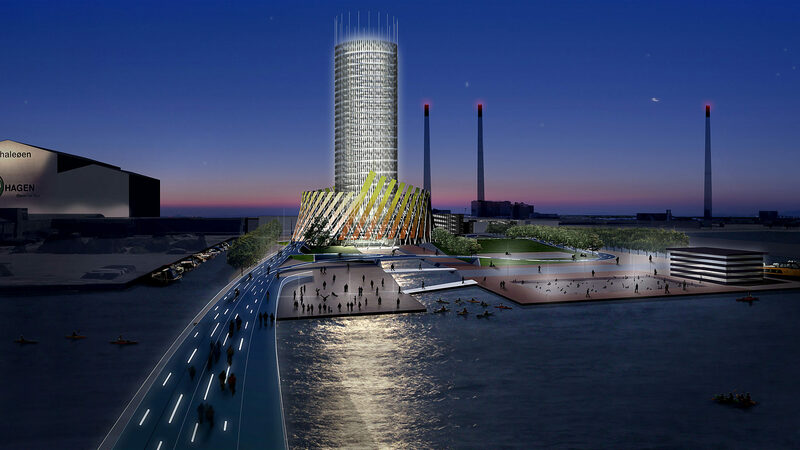 This portion of the tower is clad in an array of vertical micro turbines that take full advantage of Copenhagen’s prevailing maritime winds. The resulting effect is a shimmering and diaphanous surface around the main body of the tower. At its top, the tower is crowned with a series of spires that reach to 125 meters in height. At night, the tower is lighted from within to create a power visual icon for renewable power generation. The park below incorporates ample green space for casual and recreational activities, a new outdoor performance venue and a new swimming dock. A new bike loop that employs cutting edge piezoelectric technology that generates power from the motion of bicyclists wraps the site. 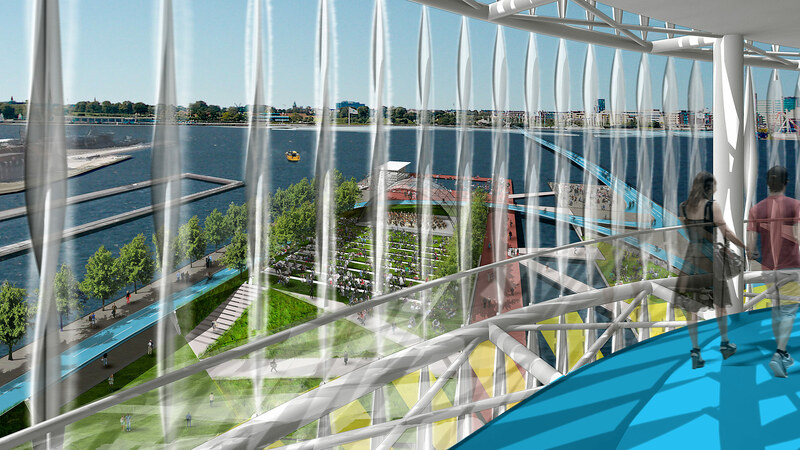 The dock and the future bike bridge across the harbor float on a wave motion generating pontoons that further increase the park’s energy production.